The Rubber and Plastics Research Association (RAPRA), announced the Global Polymer Innovation Expo (GPIE) will be held in Columbus, OH August 26-29th, 2012 at Battelle Hall. The conference and exposition will feature the six areas of polymer growth from the Ohio Polymer Strategy Council’s 2011 roadmap: conductive and electronic polymers, polymer nanocomposites, high performance polymers, bio-based polymers and feedstocks, degradable and recyclable polymers, and direct digital (additive) manufacturing. Keynote speakers include Dr. Robert Atkinson, the author of The Race for Global Innovation Advantage and Dr. Vijay Govindarajan, the Earl C. Daum 1924 professor of international business at the Tuck School of Business at Dartmouth College in New Hampshire. Conference attendees will include senior company executives, private and university researchers, economic development officials and educators from around the globe, according to the news release. Exhibitors will include the entire polymer value chain from raw materials suppliers and equipment design manufacturers, to research facilities, processors, and end product manufacturing. 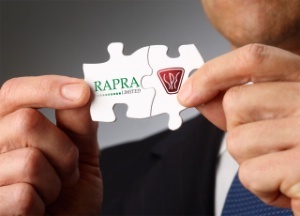 RAPRA selected Ohio due to it presence in the polymers market, according to the news release. PolymerOhio stated it expects this international event to provide Ohio-based polymer companies with opportunities for new products, services and growth. “The first GPIE will provide an interactive forum that will lead to faster implementation of innovations that provide market growth,” said Dennis Barber, executive director of the Ohio Polymer Strategy Council.